I came to Guatemala in 2003 and fell in love straight away! It amazes me that after all these years I am still discovering new wonders. 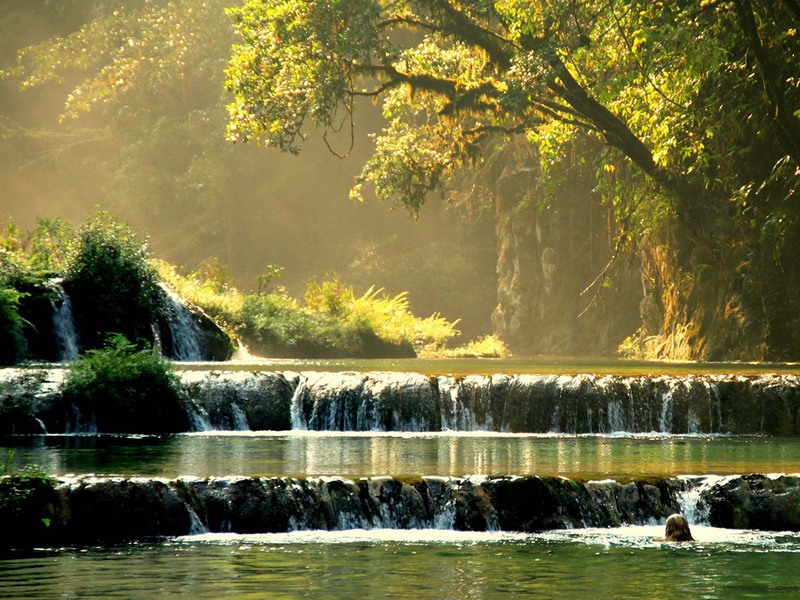 Enormous waterfalls, astonishing caves, crystal clear rivers, little lakes and ancient Maya sites. Where else can you find such diversity in one relatively small country? We truly advise all of you to take your time for Guatemala and dive deep into its culture and its breathtaking nature. 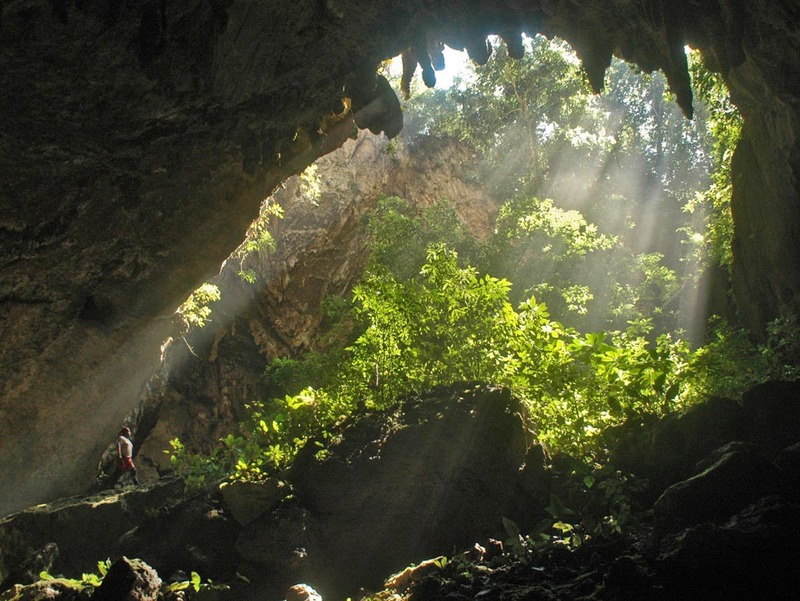 And for the true adventurers: Make sure to get off the beaten track and visit the hidden gems like Laguna Lachua or the Candelaria Caves. History, culture, natural beauty, majestic ruins and gorgeous colonial towns: Guatemala has everything a traveler could hope for. The following text is quoted from Indietraveller (A great independent travel guide). In my opinion they captured the highlights of Guatemala perfectly! The love for Guatemala seems nearly unanimous among backpackers in Central America. Ask anyone who’s followed the Central American ‘gringo trail’ which country was their favorite and, I kid you not, 9 times out of 10 their answer will be Guatemala. Guatemala is a vibrant, colorful land, filled with beautiful colonial architecture, ancient Mayan cities, spectacular rain forest scenery and stunning lakes—and very friendly people too. 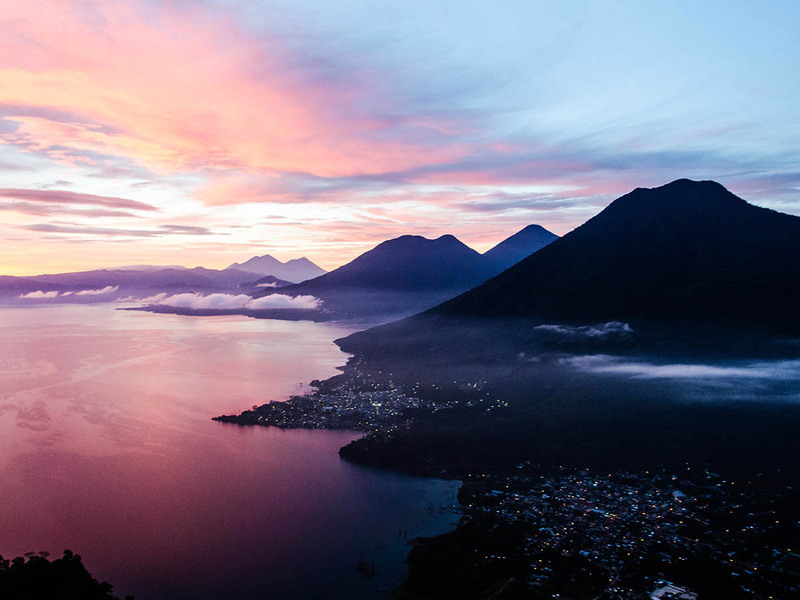 While Mexico and Costa Rica are the more popular destinations in the region (both attracting more mainstream tourism), Guatemala is the country that adventure travelers rave the most about. Astounding natural beauty. Guatemala has it all: giant lakes, lava-oozing volcanoes, dense jungles, fertile green valleys, and huge mountains all begging to be explored. As soon as I made it into Guatemala from neighboring Honduras the change was immediate and dramatic: this is a country where you will often want to stop to admire the view. Traditional ways of life. It’s common to see locals wear traditional clothes, and the colorful ‘Chicken Buses’ (converted and repainted US school buses) are like a national symbol. Some places can be pretty chaotic (markets especially) which adds to the charm. A place for outdoor adventurers. 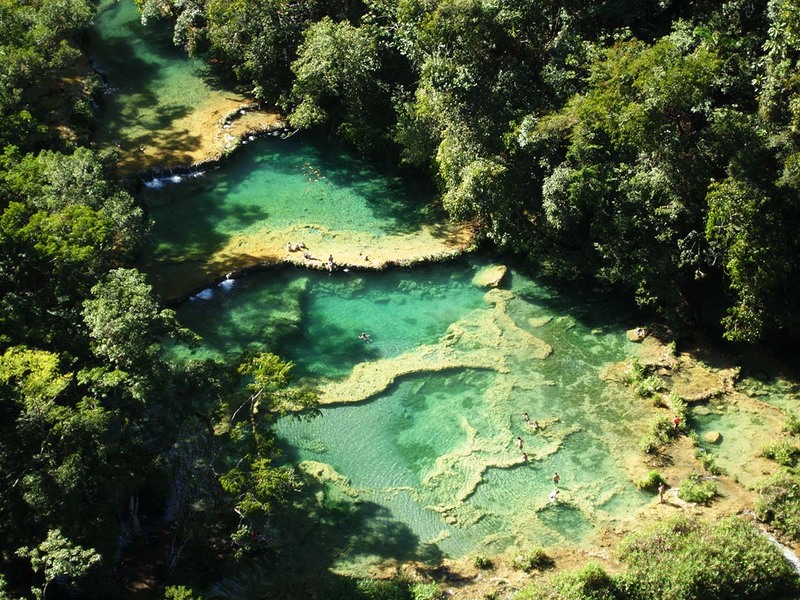 Whether it’s going on jungle treks in the north, hiking volcanoes in the south, or caving, swimming or tubing around the azure waterfalls of Semuc Champey, Guatemala is the perfect destination for the active traveler. Home to the most impressive Mayan archaeological site. The epic ruins of Tikal are almost worth coming to Guatemala for alone. It’s a huge Mayan site in the middle of the jungle that, unlike more heavily exploited archaeological sites elsewhere, manages to retain its mystique. Inexpensive. 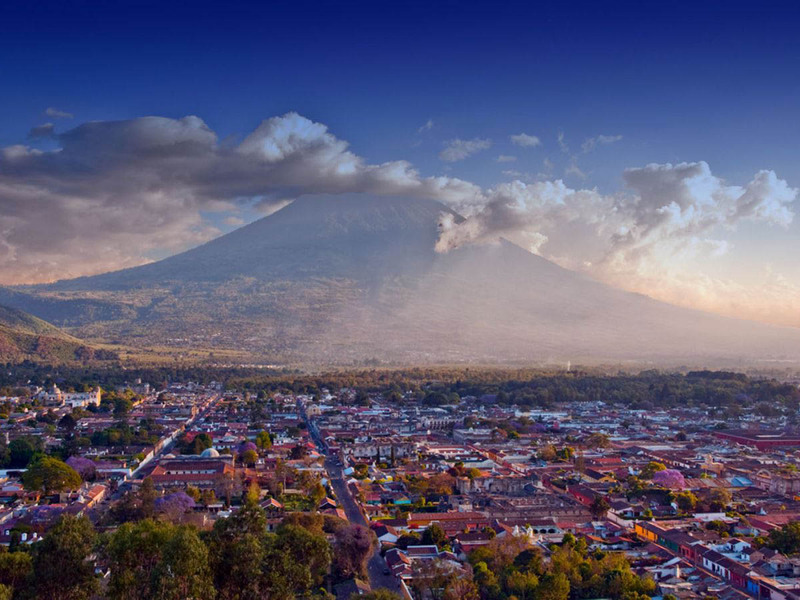 Guatemala is a very affordable and backpacker-friendly destination. Along with Nicaragua, it’s the cheapest you will find in the region. Many of Guatamala’s main destinations are crammed together just west of the capital. It’s actually impossible to easily fit them all on an overview map! The colonial town of Antigua is a huge tourist draw. Further west is Lake Atitlan, which has several towns around its edges that are visited by many backpackers (including the towns of Panajachel and San Pedro). Further west still is the city of Quetzaltenango, which is also known by the name of Xela. It is primarily a great base from which to go hiking or volcano climbing. The whole Guatemalan highlands area is filled with impressive volcanoes. The pacific side of Guatemala is much less visited and you’ll find fewer people heading into Livingston or El Estor, so consider these more off-the-beaten-track locations. The town of Copan, just over the border into Honduras, is a popular eastward way-point into the rest of Central America, and sees some day trippers from Guatemala as well. I should say the Mayan ruins of Copan get absolutely crushed by the sheer grandeur of Tikal; they are in no way comparable. Flores is a tiny village on an island in a lake in the very north of Guatemala. Besides being a perfect base from which to visit the ruins of Tikal or for inwards travel to Mexico or Belize, it’s also a great place in its own right. 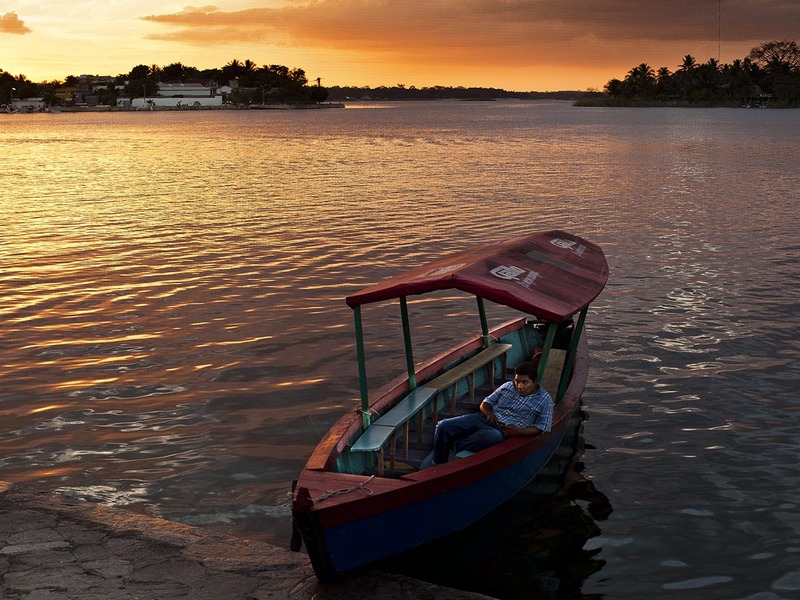 You can relax, canoe around the island, or visit the colorful markets in adjoining Santa Elena. I highly recommend staying in hostel Los Amigos, which is still one of my top favorite ever hostels for atmosphere. So-called chicken buses are former US school buses used in Guatemala for local transportation. They are often painted in bright colors, and on occasion you may even find that the driver has installed an elaborate sound system blasting non-stop raggaeton (one time my bus even had disco lights!). 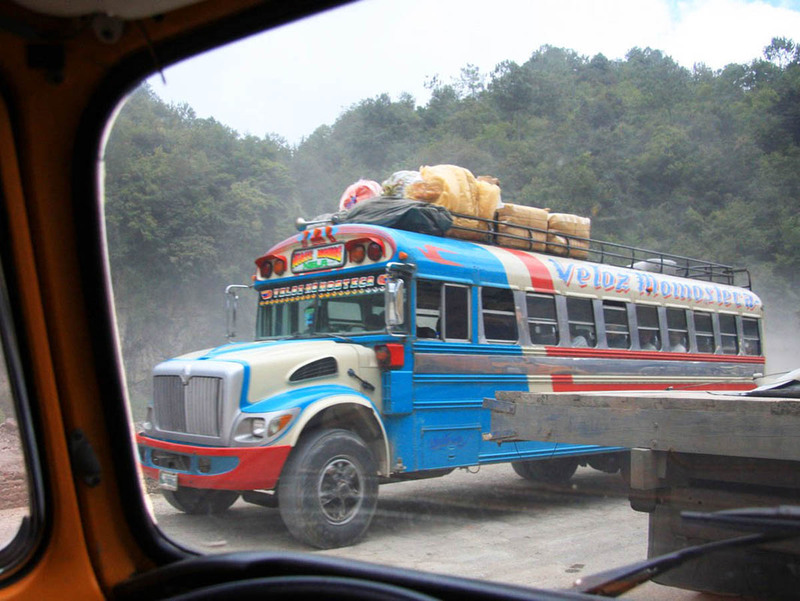 While slow and at times uncomfortable, you can get a real taste of Guatemalan culture by taking a chicken bus instead of a tourist shuttle van. Lake Atitlan is a beautiful lake in the Western Highlands of Guatemala that is ringed by several volcanoes. You can hop by shuttle boat between the villages surrounding the lake, many of which are backpacker favorites. The lakeside town of Panajachel is the most easily reached from Antigua and elsewhere, but it’s very touristy when in season. You will almost trip over all the souvenir stands here, but it does have the most direct view of the volcanoes. 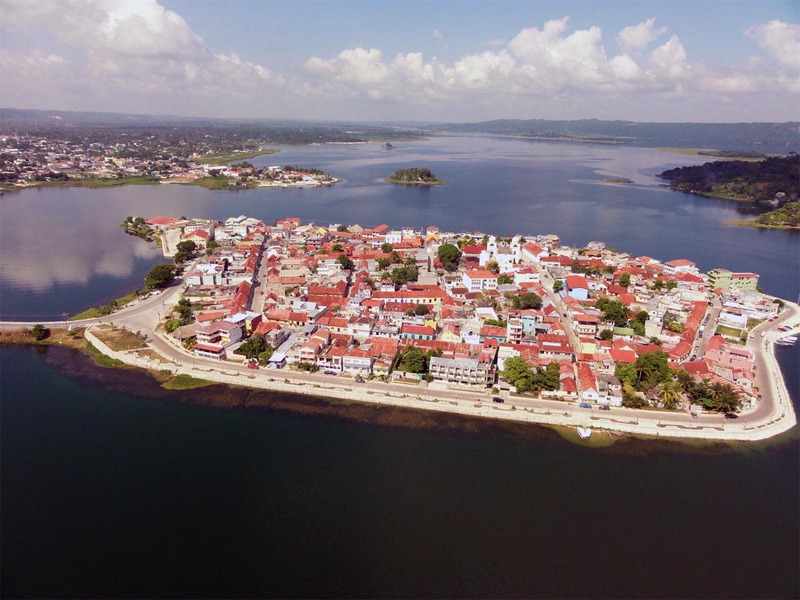 San Pedro is the main backpacker hangout, and it’s a wonderful laid back place where you can relax, party or (like so many) cheaply learn Spanish in one of the many schools. I loved this place, and many travelers end up staying here longer than anticipated! Nearby San Marcos is a small and charming alternative/hippie hamlet, also directly on the lake. Chichicastenango is famed for having the largest market in Central America. For many people it was one of their highlights. Xela (also known as Quetzaltenango) is a popular base for hiking. Many make the multi-day hike from Xela to San Pedro at Lake Atitlan, which takes you through glowing hills and green forests. Other popular hikes from Xela go up to the many nearby volcanoes. 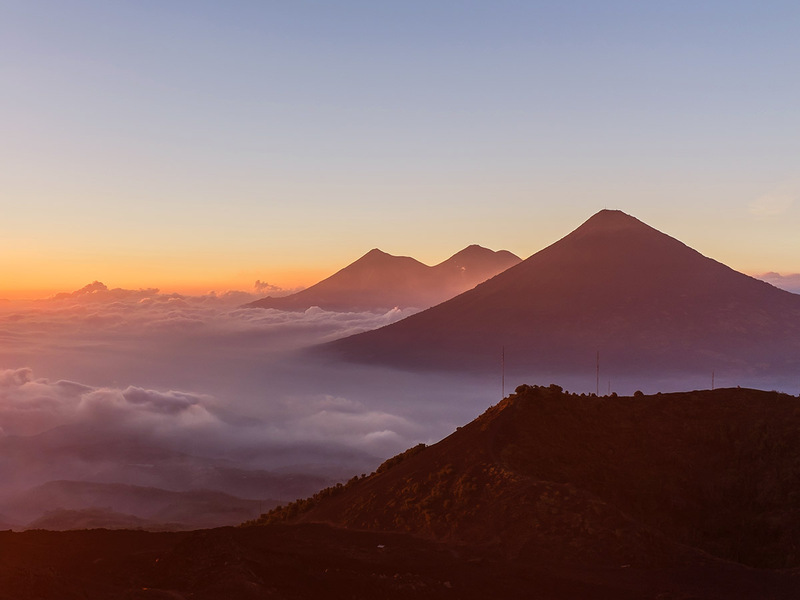 If you have the stamina, be sure to hike up Tajamulco volcano (the highest point in Central America) and get there for a stunning sunset above the clouds. Antigua is like the pretty ballerina of colonial towns, with charming and colorful low-rise buildings and direct views of two nearby volcanoes. The view from beneath one of its archways is postcard-famous. If I give you a purely factual description of Semuc Champey—that it’s a cascading series of beautiful azure pools in the jungle—you probably think might be pretty cool. But it’s hard to explain why it’s not just pretty cool, but actually one of the best damn things you can see in Guatemala. 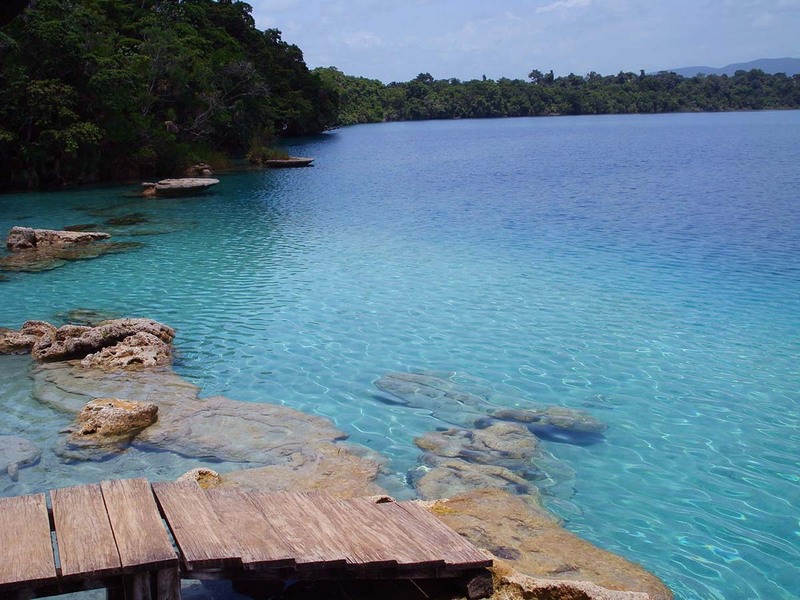 Whatever you do, make sure you don’t miss Semuc Champey. The pools are actually just one part of a full-day adventure experience. It’s essential that you go on a tour as they will show you cool secret areas, a look-out point above, and will take you into nearby caves (which you’ll enter with nothing but a wax candle for light, which is totally awesome). While I also don’t want to hype this up too much, if you are an adventurous sort of person you are going to have an incredible day. 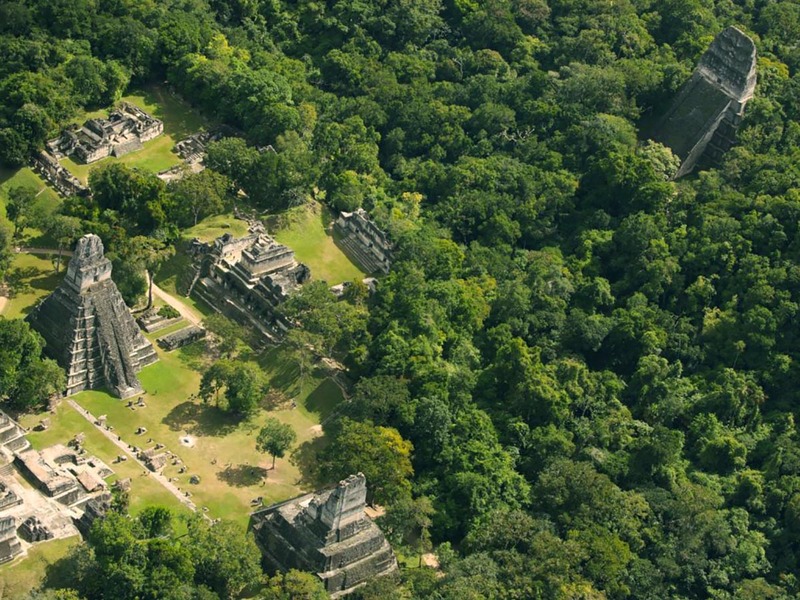 Tikal is easily the most breathtaking Mayan archaeological site in Central America. While Chichén Itza in Mexico is more famous internationally (and more heavily marketed due to its close proximity to Mexico’s beach tourism capital of Cancún), the more remote Tikal seems much more deserving of ‘world wonder’ platitudes. The site comprises of five main temples with many more ruins around it still enveloped by jungle. Having a good guide can make all the difference as you will be able to fully appreciate the history and significance of the place. If you do choose to explore independently make sure you don’t miss Temple IV.The view from the top of this tallest temple is fantastic. Film buffs will want to know this very view was also featured in the original Star Wars trilogy. Wanna know more about Tikal? 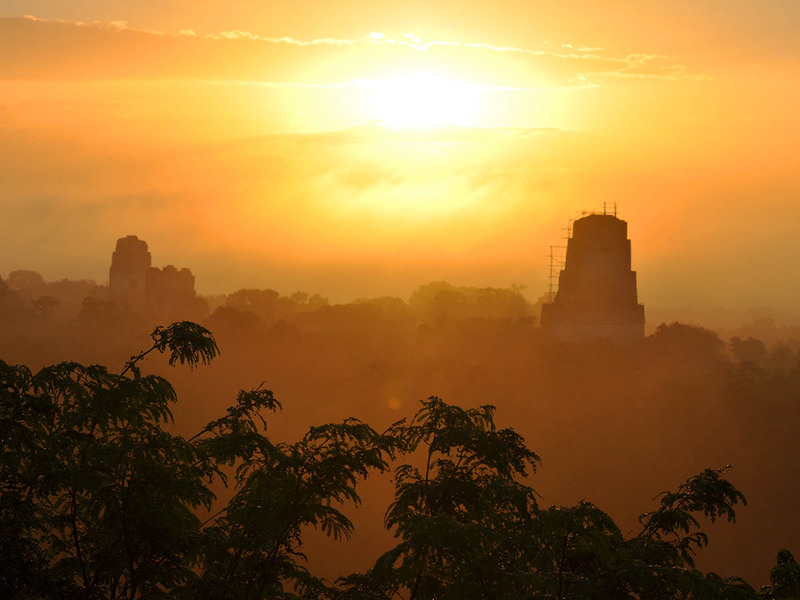 Check out our extensive Tikal page.